A powerful internal audit must actually afford all medium-sized companies from a certain size. For capital market-oriented companies, the German Accounting Law requires management boards and supervisory boards to set up such an independent internal audit. In addition, the critical view of internal auditing helps to uncover weaknesses and optimize processes. 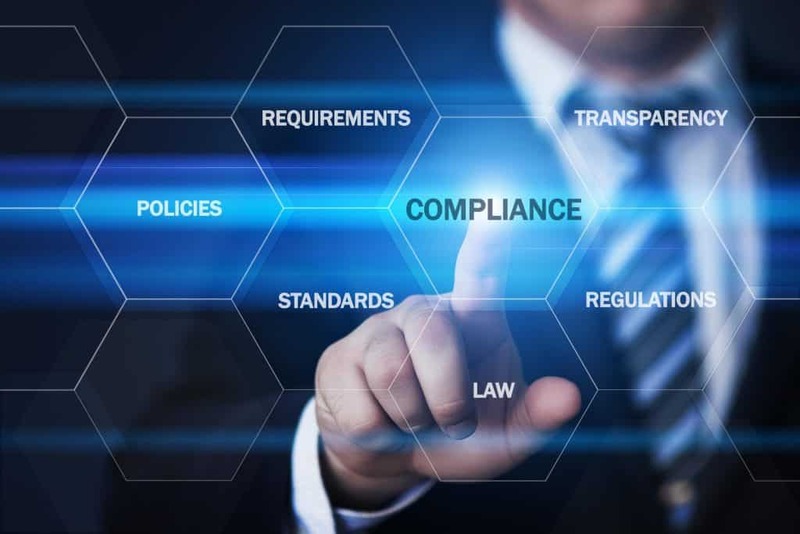 As internal auditing, we monitor compliance with the rules on proper business organization and other statutory requirements. As an internal audit, we advise and inform the management regarding existing deficiencies and identified organizational gaps. Selected processes are checked randomly, risk-oriented and at appropriate intervals for their conformity. As internal audit, we assume our tasks without instructions and with the necessary specialist knowledge. We report directly to the management. Internal Audit Outsourcing – Outsourcing the internal audit to an external service provider – what advantages does such a solution offer? One of the key requirements for internal audit staff is their independence. They examine on behalf of the management, who then reports the results to the Supervisory Board. This means that internal auditing must therefore be above all company-internal political and strategic considerations. The establishment of an independent audit also means that these employees must not be entrusted with any tasks that are not related to auditing. Such an exemption of employees often fails in practice because of the necessary full utilization of the employees and / or the available resources. Can an external service provider go as far as the in-house internal audit? In many cases, the company chooses a mix of its own internal audit and external specialists. We also call this kind of cooperation with our clients co-sourcing. Special audit procedures can then be outsourced cost-effectively to external specialists. The internal audit can then concentrate fully on the basic tasks. Specialized knowledge, which is not needed every year, can then be purposefully “bought in” from the outside. If you then set the costs for co-sourcing models or even for special orders in relation to the structure of your own audit capacity, it is worth outsourcing the internal audit in most cases. Do you have questions about outsourcing? Are you planning to outsource or support your internal audit? You would like to further expand your internal control and monitoring system? They are looking for reinforcements in the area of ​​money laundering and anti-fraud. You check the outsourcing of the compliance officer? For 10 years we have been accompanying medium-sized companies as an outsourcing specialist. Among our clients are u.a. Healthcare companies, medical facilities, utilities, manufacturing companies, financial services, leasing companies, factoring companies and acquirers. You are looking for a partner for a reliable and cost-efficient outsourcing solution. Try us. We are happy to inform you in a personal conversation. For senior management to act in an entrepreneurial decision for the benefit of society, it is essential that senior management can rely on reliable information. In doing so, Internal Audit takes over the important information as a quality assurance provider and as an information provider. A sensitive special case arises when the internal audit determines that the management body in principle under-informed or unaudited information used as a basis for decision. Here, Internal Audit supports the management in the implementation and compliance with the requirements arising from the Business Judgment Rule. Would you like more information on this topic? We are happy to assist you with our revision check to limit possible liability risks. Send your request to the department Internal Audit, Achim Schulz a.schulz@sp-partners.de or call us directly at +49 89 452 429 70 101. Outsourcing officers – Outsourcing with S&P Outsourcing Solutions. What outsourcing solutions do we offer? We offer Outsourcing Solutions for MLRO, Data Protection Officer, Information Security Officer, Compliance Officer or Internal Audit. You can see the scope of the task covered by our S & P Compliance Team directly in the following performance overview. The Three Lines of Defense model: Internal audit as an integral part of the internal control system. Risk management, compliance and internal auditing are indispensable representatives of the management. When implementing an internal audit, organizational independence must be taken into account. The new revision standards DIIR No. 3 and German IDW Standard 983 apply in practice for a secure internal audit organization. More information about our offer S&P courses you can find directly under the following link Internal Audit.